My hair takes a bit of a battering day to day, I blow dry it each morning before straightening or curling it for the day, I'm also one of those people that constantly plays with my hair throughout the day which means that it snaps off at the ends constantly! I also have bleach highlights each month, all of this means that I end up with quite dry, damaged hair, I have tried so many shampoos and conditioners to try and help add some much needed moisture to my hair, some that work wonders, others that really don't, but I'll do a separate post on these. Today, I just wanted to spread the love for Macademia Oil, I bought this 30ml bottle around this time last year for about £11 and I still have some left over in the bottle, thinking about it now, I'm quite shocked it has lasted so long, I did have about 2 months where I didn't use it and I don't use it every time I wash my hair but still very impressed with how long it has lasted. I love the way this oil makes my hair feel, it really does make it feel so much softer and more nourished, it also looks stronger and cuts my drying time right down! I was a little worried when I first bought this that the oil would be too much for my hair, and leave it greasy and weigh it down too much but it really doesn't. Lots of love from me for this little wonder! I get mine here normally, although it looks like they may not have the 30ml bottle right now! Do you use hair oils? Any recommendations? 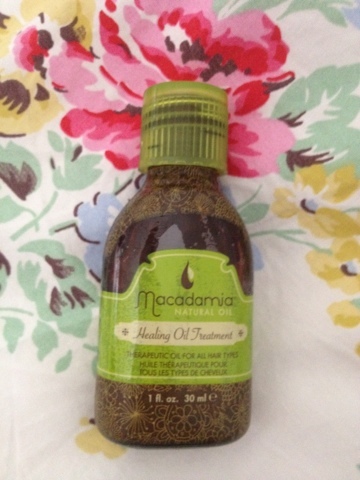 7 comments on "Macademia Oil"
I use Olive oil on my skin as an after shower oil. I have never thought to you oils in my hair, thought, beacause i am afraid it will make my hair feel greasy, but since you said it doesn't I am going to have to try it out. Thanks for the tip!